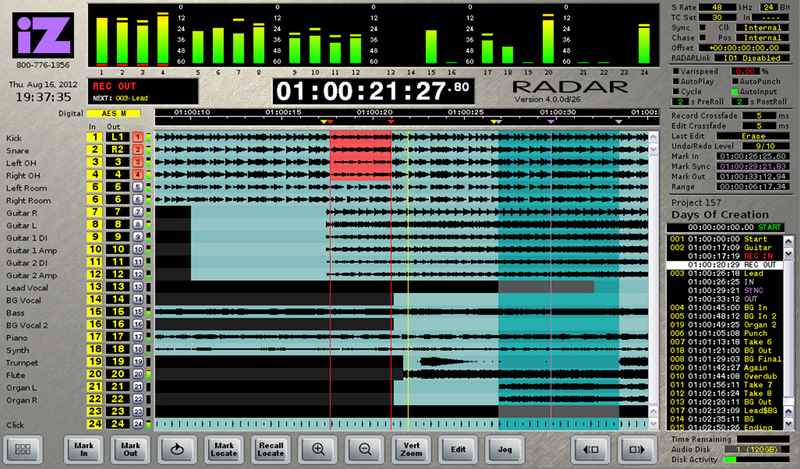 A quick overview of what makes RADAR the best recorder in the world. Select a feature to learn more. RADAR studio is extremely portable. Weighing only 35 lbs. * and measuring 4U high and 15” deep, this versatile system fits in any application. Its robust design allows you to use it anywhere, anytime. Lightening fast boot speed. With one switch, you’re up and running in no time. Configure RADAR’s drive bays to suit your needs: industrial grade key-lock removable SSDs or BluRay. The choice is yours. Any system, any time. Let the files fly! USB 3.0 allows fast file transfers and direct recording. Can we think of anything else instead of “dead”? It’s not completely silent, but it’s really quiet. * Available in RADAR mode. Future software update for workstation mode coming soon. Explore the digital world with MADI*, AES/EBU, ADATLightpipe, and TDIF. 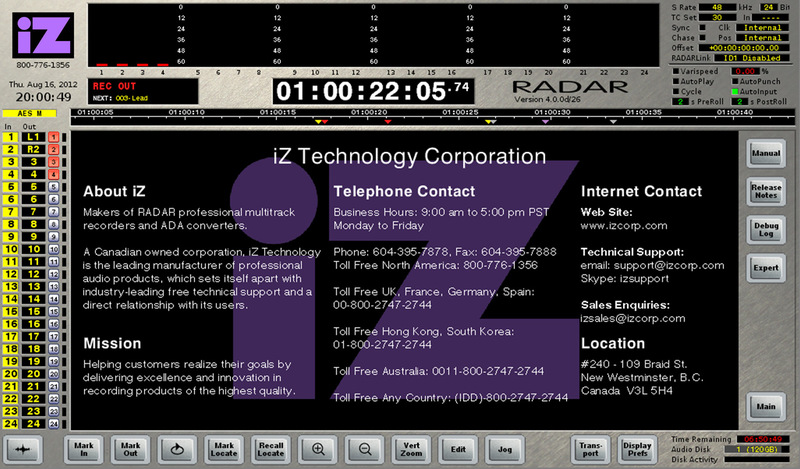 Take charge of your session with the iZ Session Controller. It’s built like a tank and designed to make your life easy. Control your session like never before. You like your shortcuts, we’ve thought of that. With fully integrated Pro Tools commands, never miss a beat – pilot your session with ease. Equipped with onboard footswitch jack, run your session hands free. HDMI DVI and VGA* video outputs. View your session externally on multiple HD monitors. 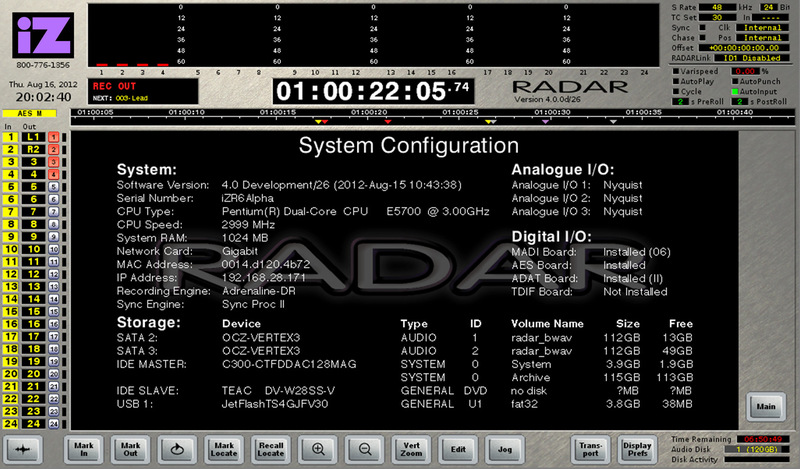 RADAR studio is compatible with third party audio processing cards. Install your own card and away you go! Never fall behind with the Thunderbolt option card*. The fastest transfer speeds available. What can we say? It’s the best! Why? Read more here. Built with world-class converters and Adrenaline DR technology, RADAR studio transcends the digital barriers of sonic quality. 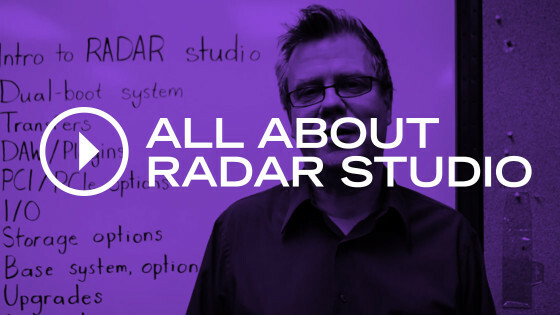 Read more about RADAR’s legendary Sound Technology. As any studio owner knows, the difference between good and great often almost always comes down to the performance. Be creative instead of steering a mouse. Just arm your tracks, hit RECORD, and focus on the music. 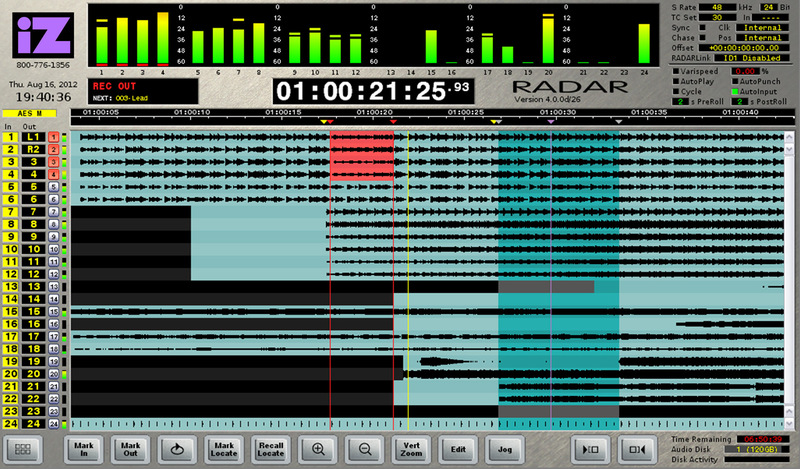 RADAR has always been the best digital audio recorder, and now it's the best DAW host. 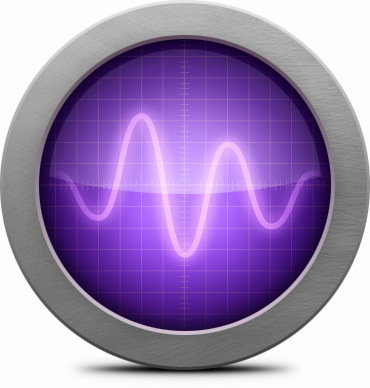 Running Pro Tools natively, you can track, mix, and automate, using all the plugins and features your workflow requires. These systems are rock-solid. You won’t have to make excuses for your RADAR. Think about it – without techno-tweaking and re-booting your DAW, how much more great music do you think you could capture? As the world becomes increasingly digital and disposable, you'll be at ease knowing your RADAR will last. Meticulously designed and made of the highest quality components, RADAR, unlike audio PC's and audio interfaces, is a true investment. Our dedication to you doesn’t end when you walk out the door. eMail, phone, Skype, we’re always at your fingertips, ready and eager to answer any questions. you’re 100% focused on the sound. Why does RADAR Sound so good? We’d be lying if we said sound quality wasn’t RADAR’s best feature. With a near-zero jitter, pristine signal path, and the latest in converter technology, there is simply not another recording device on the market that moves input to output as gloriously and euphonically as RADAR. 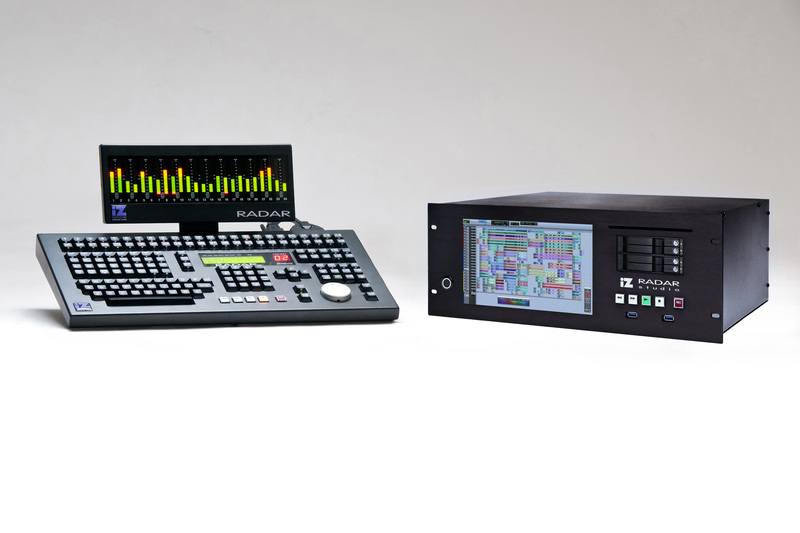 A key component behind RADAR's unmatched sonics is the iZ Adrenaline DR Recording Engine. The Adrenaline DR houses iZ’s proprietary and time tested Trinity Chip with its frequency synthesized digital PLL to provide an near-zero jitter clock, super low latency audio routing, and real time crossfades on all channels during punch in/out at all sample rates up to 192 kHz. The Adrenaline DR recording engine frees up the host processor to provide better DAW/plugin performance. You know you want a RADAR. You know you need a RADAR. A better question might be: who hasn't? Don't take our word for it: hear what the world's top engineers have to say.